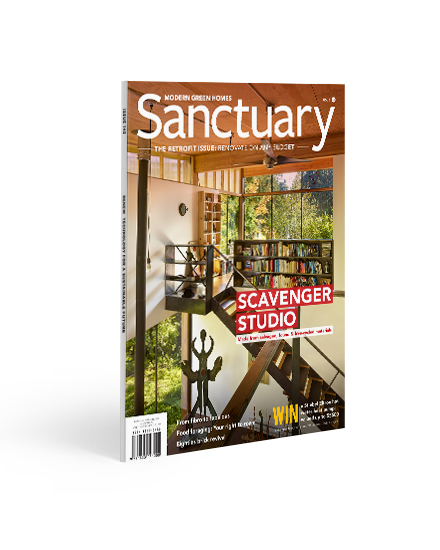 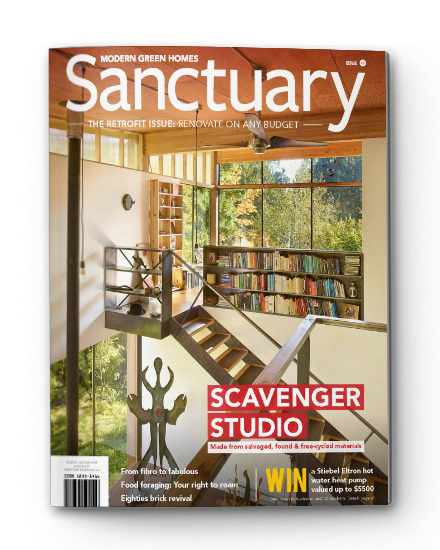 Get a 1 or 2-year subscription to Sanctuary: modern green homes magazine. 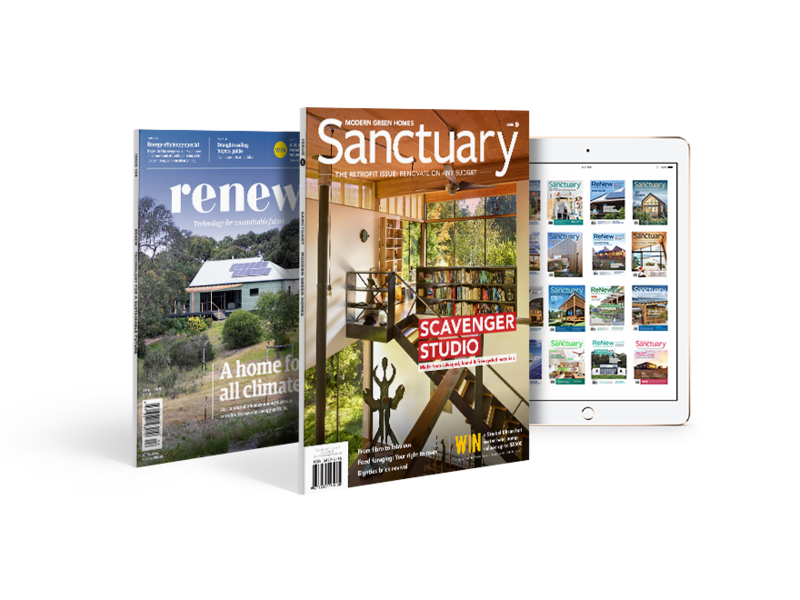 Membership to Renew provides you with independent, practical advice on sustainable living and ensures Renew remains at the forefront of the next wave of innovative sustainable solutions that will define our homes and communities in the future. 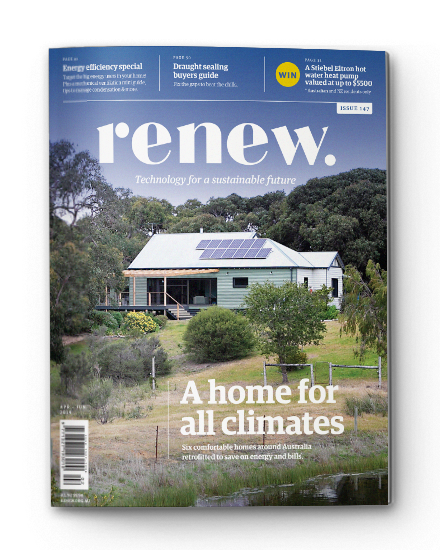 Renew's Champion members receive all the full member benefits and provide a tax-deductible donation to further support Renew in advocating and delivering sustainable solutions to government, industry and communities. 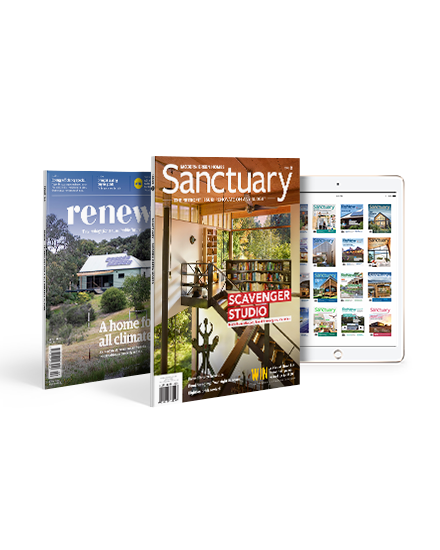 Your Organisation Membership allows Renew to advocate and deliver sustainable solutions to government, industry and communities. 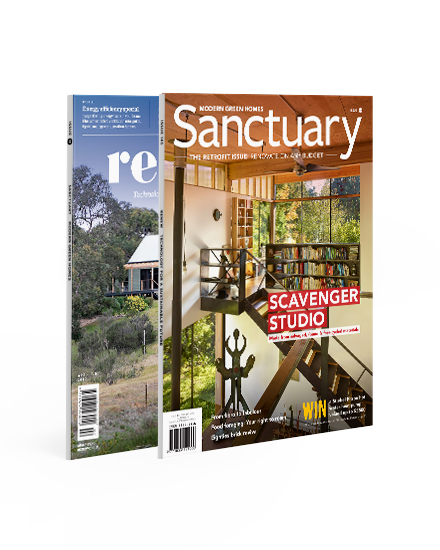 With your support, Renew will remain at the forefront of the next wave of innovative sustainable solutions that will define our homes and communities in the future.